What is a Veterinary Biologic? Veterinary biologics (veterinary vaccines, antiserums, immune modulators) are those products used to prevent, diagnose, or treat animal diseases which achieve their primary effect through immune stimulation or immune modulation. This mechanism of action distinguishes veterinary biologics (veterinary immuno-biologics) from veterinary medical drugs or veterinary devices. 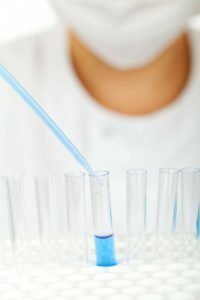 Manufacturing of Veterinary Vaccines, Antiserums, Antibodies, and Veterinary Diagnostic Kits: The manufacture and distribution of veterinary immune modulators, biologics, and certain diagnostics are regulated by the United States Department of Agriculture – Animal and Plant Health Inspection Service (USDA-APHIS). These products should be manufactured according to an Outline of Production, which should be conducted according to Good Manufacturing Practices. Shipment of Experimental Veterinary Vaccines and Biologics: Before shipping experimental veterinary vaccines or biologics for clinical evaluation, the Sponsor should obtain USDA’s authorization to transport (ship), which may include providing the USDA a list of recipients (study sites and investigators). Approval for veterinary immuno-biologics is conducted under the guidance of the USDA-Center for Veterinary Biologics (USDA-CVB). Woods Consulting, LLC can assist companies in regulatory and development strategies concerning veterinary vaccines, veterinary diagnostics, veterinary immune modulators, and other veterinary products which are regulated as veterinary biologics under the United States Department of Agriculture. Veterinary biologics (immuno-biologics) consist of vaccines and therapeutics used to prevent or treat veterinary diseases, and veterinary diagnostic kits which are used to diagnose pathogens. These products regulated as biologics by the USDA-APHIS. Examples are point-of-care veterinary diagnostics such as those to test for feline leukemia virus, canine parvovirus, and other viruses, bacteria, and veterinary pathogens. Click here to be redirected to our Veterinary Diagnostics page. In order to satisfy a Veterinary Product License for veterinary biologics, the following aspects must be satisfied by the Sponsor. Conditional Licenses: Veterinary vaccines, veterinary immune modulators, and other veterinary biologics may be subject to obtaining a conditional license. Certain veterinary immuno-biologics may be able to obtain a conditional license if they satisfy specific requirements, including but not limited to reasonable expectations of efficacy, safety and purity. USA: United States Department of Agriculture – Animal and Plant Health Inspection Service (USDA-APHIS). Canada: Canadian Food Inspection Agency.